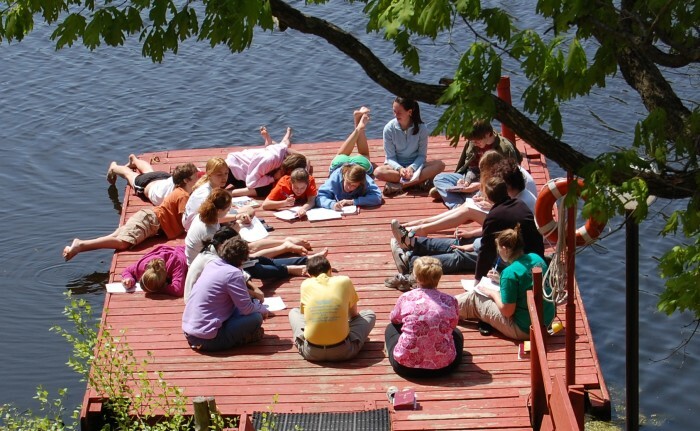 DuBois Center is open year-round to individuals and groups who wish to use our facilities for a retreat. Our 308-acre facility is the perfect place to spend some time away from it all. We host all types of groups, including churches, schools, organizations and communities. While at DuBois, you and your group will experience excellent service with comfortable lodging, delicious catering and exciting activities to match your needs. We have multiple meeting and gathering spaces of all sizes, both indoors and outside, to fit any group. We also offer a variety of activities, including horseback riding, adventure tree climbing, canoeing, swimming, fishing, hiking, a Challenge Course and more. Explore our options through the links on the right and then contact us to start planning your group’s retreat today! You can also take advantage of our interest form on our contact page to get started.